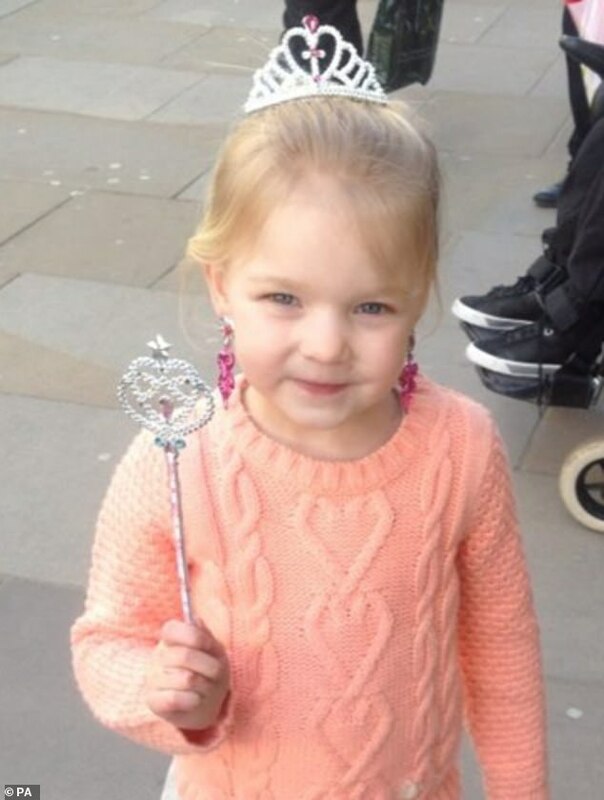 Two companies have been fined more than £1.5 million over the death of a five-year-old girl who died, as her mother speaks of her ‘unimaginable loss’. 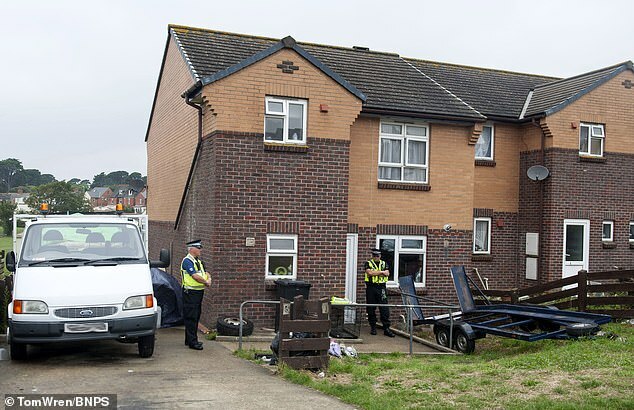 Alexys Brown, known as Lexi, died from ‘horrific’ head and neck injuries after becoming stuck between the lift and the ceiling of her home in Weymouth, Dorset in August 2015. Housing association Synergy Housing Ltd, which owned the property where Alexys lived with her family, was fined £1 million. Maintenance contractor Orona Ltd, which was responsible for servicing and maintaining the lift, was fined £533,000. Mother Lorraine Brown described the last three years as ‘unimaginable’. ‘The loss of Alexys has impacted our lives and our children’s lives immensely,’ she said. ‘Nothing can ever bring Alexys back to us. The fines to us are irrelevant. All we ever wanted was an apology from Synergy and we got that. ‘Alexys was a loving, carefree and angelic little girl who was full of energy, love and laughter. ‘I hope that what has happened to our family sheds light on others in order to avoid anything like this ever happening again. 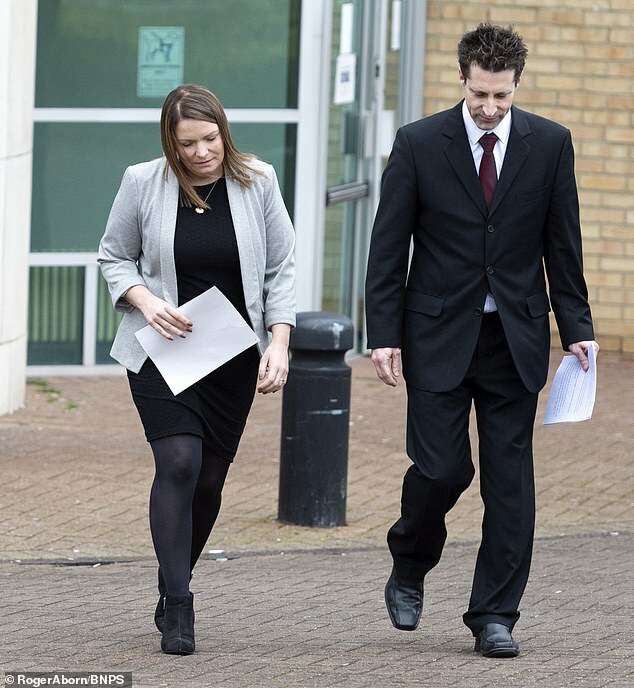 Bournemouth Crown Court heard the incident happened when Alexys’ older brother, who is a wheelchair user, asked her to go upstairs to get his mobile phone. 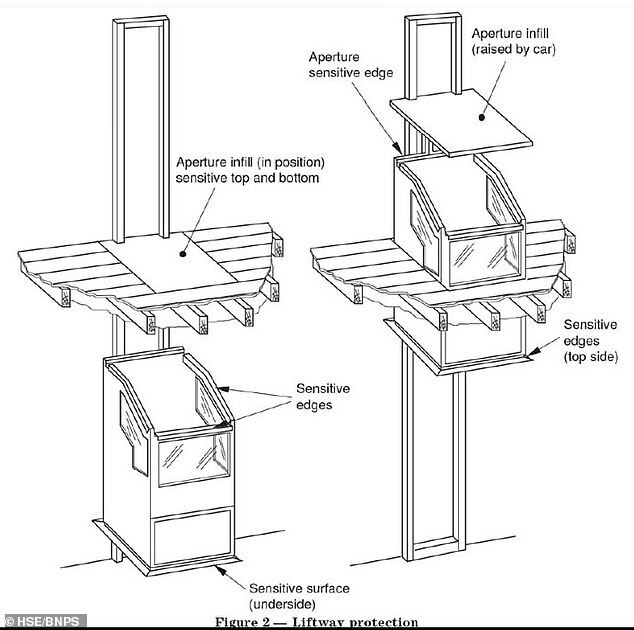 As the little girl went up on the platform lift she was able to put her head through a hole in the Perspex door panel, which had not been repaired – allowing her to get trapped. The children’s grandmother, who was looking after them, heard the boy shouting and rushed to the scene. She tried freeing her granddaughter but was unable to and called the emergency services. Firefighters had to cut Alexys free because there was no emergency key or handle to manually free her, the court heard. Sadly Alexys couldn’t be saved and she died at the scene from head and neck injuries. The Brown family moved into the three-bedroom property in 2009 because it already had the lift installed and would be of assistance to their disabled son. They told Health and Safety Executive investigators there had been ongoing problems with the lift since they moved in, including the doors not opening. 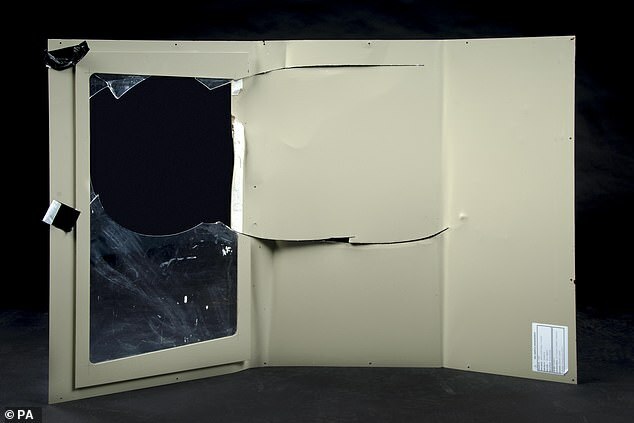 By May 2015 the Perspex door panel was damaged and should have been repaired or replaced. The lift should have been serviced every six months and subjected to a ‘thorough examination’ twice yearly by a third party insurer. That examination was last carried out in 2012 after Synergy told the insurance company the lift had been removed. Orona had twice quoted Synergy a price to replace the lift but the housing association did not approve the work as it was investigating the building of a ground floor extension instead. Mrs Brown told Bournemouth Crown Court yesterday that her other children had been left ‘broken’ by the devastation caused by Alexys’ death. She said: ‘The heartache and emotion they have had to face of losing their sister and best friend and the circumstances of her death make it impossible. ‘My son Jack had to witness something people wouldn’t even be able to have nightmares about. ‘He is receiving treatment for PTSD, he doesn’t sleep or eat. He carries a huge amount of guilt he just cannot let go of. What he witnessed we can only imagine. ‘We believed Alexys was sent to us for a reason at a time when we were given a horrible diagnosis with Jack. ‘Alexys’ arrival gave Jack something to look forward to. She was and is his guardian angel. She gave him a reason to fight, to be, to live and that reason has gone, along with his fight. ‘Our life is never sleeping due to thousands of what ifs and why didn’t Is. The silence is deafening, every day getting worse. As time goes by we just miss her more. At a previous hearing both companies pleaded guilty to a single charge under the Health and Safety at Work Act. James Ageros QC, representing Orona, expressed his ‘sincere regret and condolences’ to Alexys’ family. ‘Nothing I say is meant to detract from the human tragedy of this case,’ he added. Passing sentence, Judge Stephen Climie listed several failings, including a failure to ensure the proper maintenance and repair of the lift. 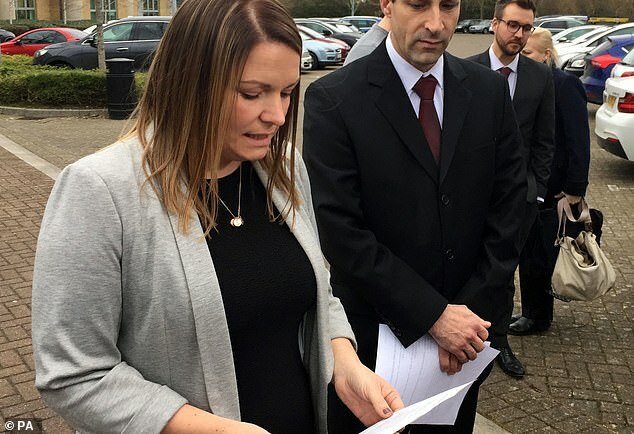 ‘No one should ever lose sight of the fact that this was industrial machinery operating in a domestic setting with young children present which should have resulted in the most careful assessment of safety measures and controls at all times,’ he said. ‘Each defendant has accepted responsibility through the basis of plea documents and has accepted that to some extent each is responsible for causing Alexys’ death. Both companies are to pay £40,000 prosecution costs. Charges against a third company, Aster Property Ltd, were ordered to lie on file. After passing sentence, Judge Climie praised the Brown family for the ‘dignity and strength that would be beyond many of us’. ‘It is clear the family feel responsible for Alexys’ death. The only fault which attaches in this case as far as Alexys’ death is concerned lies with the defendants,’ he said. ‘No words or actions by this court can compensate the family for their loss. * Orona was notified of the damaged door three months before the tragedy but nothing was done to fix this. The Browns were so worried about the safety of the lift they applied for planning permission to extend their end-of-terrace house so Jack could have his bedroom downstairs. Today a judge at Bournemouth Crown Court fined Synergy, which is part of Aster Group, £1m. Orona Ltd was fined £533,000. Both companies were ordered to pay £40,000 towards the costs of the Health and Safety Executive prosecution. Judge Stephen Climie told Alexys’ parents, Lorraine and Matthew, that the fine was in no way a reflection of the value of their ‘beautiful and priceless’ daughter’s life. He said: ‘The Browns have behaved with extraordinary dignity and have shown strength in the face of adversity which would be beyond many of us. ‘I wish to express my sympathy and condolences. Alexys would have been proud of each and every member of her family had she been here today. ‘No words or actions of this court will ever be able to compensate the Browns for their loss. Mrs Brown, 33, said: ‘Knowing it could have been prevented turns my upset to anger. Someone failed our family and needs to take responsibility. ‘Our life is never sleeping due to thousands of ‘what ifs’ and ‘why didn’t Is’. The silence is deafening, every day getting worse. As time goes by we just miss her more. ‘We should have been able to protect her and that was taken away from us. It’s just heartbreaking. The Browns moved into the three bedroom house in 2009. The lift was installed for Jack who has suffered from a neuro-degenerative disease since the age of five. 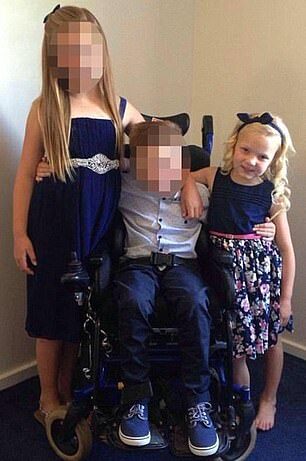 On the day of the tragedy, August 13, 2015, Alexys and Jack were at home and being looked after by their grandmother who was in another room when her granddaughter got into the lift. Sara Lawson QC, prosecuting for the Health and Safety Executive, said: ‘The catalogue of failures and lack of checks made by these companies led to Alexys’ death. ‘The lift was in an unsatisfactory condition at the time it was in use. If either the hole had not been present or there had been adequate control of the key switch at the time this incident would not have occurred. Synergy Housing and Orona Limited admitted charges of failing to discharge their health and safety duty, a breach of the Health and Safety at Work Act 1974. Dominic Kay, representing Synergy Housing, said: ‘The upset, regret and remorse is felt at all levels of Synergy and Aster. The whole purpose of these organisations is to assist people who need help and everyone is devastated by what happened. ‘The CEO, finance director, housing director, operations director and head of health and safety are all here because they feel it is their duty to represent the company and hear what is said by the Crown and Mrs Brown. James Agaros, representing Orona, said: ‘Everyone at Orona expresses its sincere regret and condolences to the Brown family. ‘The company is represented at the highest echelons of the organisation as a representation of the seriousness with which they treat this. ‘This is a company where there are systems in place and the systems fell down and were not properly implemented. ‘Synergy say Orona was their specialist advisor but Orona did advise on two occasions for the lift to be removed and quotations were raised.